Weather, which comes right out of the sky, is at the top. Next in line is the roof. Those of us down below react to the weather every day, but before it strikes us, it’s already hitting the roof. Whether the sky is shooting down hail that hits like bullets, or pouring rain that pounds upon the surface of the roof, or sending down flakes of snow that accumulate, there’s no way to escape the weather. That’s why building material manufacturers pay so much attention to the products that we develop; we know that a flawed roofing system is going to immediately affect the performance of your building. At Danpal, we’ve had half a century to study the problems that weather causes and that’s given us more than fifty years to develop high-quality roofing systems which are strong enough to stand up to energy and lightweight enough to be easy to work with. It’s really pretty obvious. A roof is the lid of the building. Its role is to keep the occupants and contents inside free from experiencing the weather that is beating down upon it throughout the seasons. As long as a roof is watertight and airtight, you can be confident that it’s doing its job in keeping drafts and moisture out. And don’t forget sunlight—heat, and sun can also damage a roof, which is why we offer co-extruded UV protection for our roofing systems. For the traditional weather threats posed by rain, snow, hail, and wind, Danpal has developed a double-tooth, grip-lock connection that shuts out weather and enhances thermal protection inside to keep your building’s insulation dry. R U AWARE OF YOUR ROOFING SYSTEM’S “R” and “U” VALUES? One of the ways that the construction industry has changed over the past five decades has been in response to environmental concerns. As new regulations were passed that required the building industry to develop products that don’t harm the environment, Danpal invested in research and development to advance the manufacturing of sustainable products. R-values are the resistance to the heat flow; the higher the R-value, the greater is the resistance and the insulation value. The U-values represent the amount of heat that escapes; the lower the U-value, the slower the rate of heat flow and consequently, the quality of the insulation is better. “U” and “R” values have improved during this time as environmental awareness has become a way of life for consumers and businesses alike. Airtight and watertight means that insulation can do the work it’s designed to do without suffering a loss of performance due to leaks and drafts. Cooling and heating systems maintain a consistent temperature throughout the year with dry insulation. As populations grow and nations become more industrially advanced, we all have an obligation to make certain that the building products that we use do not compromise the health of the planet. Energy efficiency is a benefit to everyone. It costs less for the consumers because you’re only paying for the energy that you use; it helps the planet because energy isn’t wasted and carbon footprints remain smaller. Weather is tough, but it can’t defeat the performance of a Danpal roofing system. Polycarbonate, a building material which is both impressive in strength and light in weight, continues to grow in popularity. It’s strong and durable, and able to resist the forces of nature, but at the same time, it’s easy to work with. With a material like this, the possibilities are almost endless, so it’s no wonder that polycarbonate roofs are showing up more and more often on buildings. Polycarbonate roofing actually was first used on conservatories but has become increasingly popular for commercial structures. You’ve likely already seen one kind of polycarbonate roof if you’ve driven by a conservatory. The panels look like glass and can be either transparent or translucent. Because of the strength and versatility of polycarbonate, it’s showing up in roofing on greenhouses, sun porches, solariums, and patio rooms. 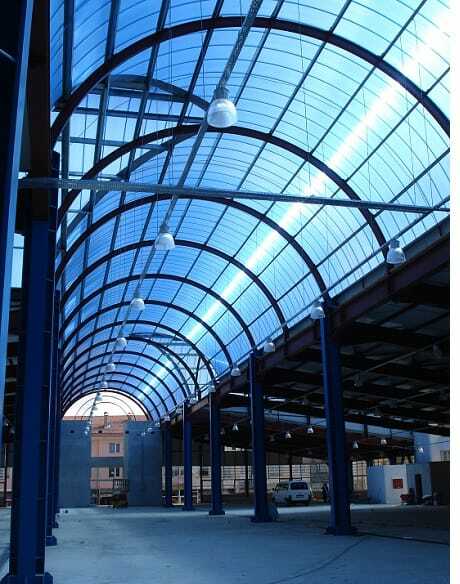 These structures would not be able to support a heavy roof, so polycarbonate is ideal. Also, a polycarbonate roof is less expensive than glass, which presents a financial advantage as well. Weather is a factor when choosing the roofing that’s best suited for your region, so it’s fortunate that you can choose polycarbonate roofing without sacrificing any of the qualities that you would expect from traditional roofing. Polycarbonate roofing meets the most demanding quality standards: it’s able to withstand a wide range of temperatures; it’s shatterproof; it’s flexible; it’s durable; and it’s lightweight. 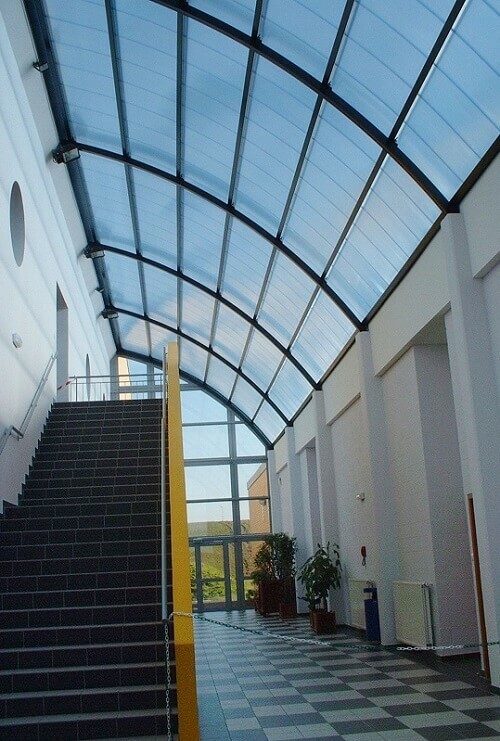 If you live anywhere where there’s weather, polycarbonate roofing is ideal for you! With its high impact resistance, polycarbonate roofing has the advantage over glass if you live in a region of the world where heavy snowfall or hailstorms are common, because it’s not likely to break or crack. Polycarbonate roofs come in different colors, but if you’re worried that the colors will fade after constant exposure to the sun, rest assured that the panels do not readily fade and are able to maintain the attractive appearance of the roof. Polycarbonate roofing, which is installed either as a either single or double layer, provides added insulation for the building. A greenhouse may use only a single layer, while a business or home is likely to use multiple layers. There is air between the layers which provides insulation to reduce the loss of heat. 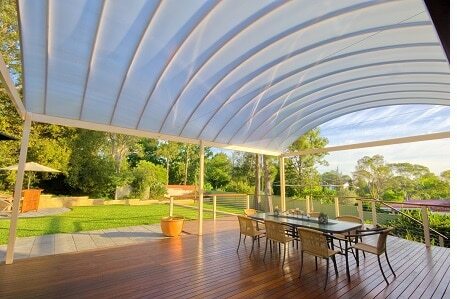 Polycarbonate roofing keeps out harmful UV rays that we don’t want, while letting in the natural light that we do want. Protecting the insulation is one of the ways that polycarbonate roofing helps your heating and cooling systems maintain a steady temperature inside throughout the year. Danpal is proud to offer building materials that are designed to last a long time and that’s the case with polycarbonate roofing. Although polycarbonate is a comparatively new building material, it has shown itself to be a product that withstands the test of time. We’re confident that polycarbonate roofs will become even more popular as more people discover the remarkable performance of this innovative material. Welsh National Sailing Academy. Land, sea and sky. Situated on an exposed North Wales peninsula between the Irish Sea and the Afon Erch river estuary, the stunning Welsh National Sailing Academy building is both an international centre of excellence for sailing and a multi-purpose event space for the local community. Working with the Sailing Academy and the Gwynydd County Council, Ellis Williams Architects of Liverpool based the building’s unique design on the classic principle of ‘form following function’. A unique spiral building design is centered on a large circular main hall, enabling fully rigged boats to be towed in and out with ease while being protected from the location’s strong coastal winds. Curved public terraces overlooking sailing competitions in the bay are situated to the more sheltered north western side, with a glazed café area offering stunning panoramic views of both the bay and the Snowdonia National Park beyond. On the opposite side, a bar and terrace looks out towards the marina and estuary. A critical design criteria for the project was to maximize the amount of natural daylight entering the circular hall to assist in the preparation of sailing boats and their close scrutinizing by competition judges. To meet this requirement, Ellis Williams specified Danpalon® translucent polycarbonate panel cladding system for both the curved hall façade and the round hall roof. To harmonize with the project’s extensive use of natural stone gabions, sea grass banking and treated softwood building materials clear (uncoloured) Danpalon® panels were selected and pre-treated with Softlite coating to limit light glare and achieve a subtle matt finish. The translucent panels also enabled a variety of attractive night time building illumination effects to be achieved using energy-efficient coloured LED lighting, while its excellent thermal properties mean the central hall is able to function as an unheated event space. 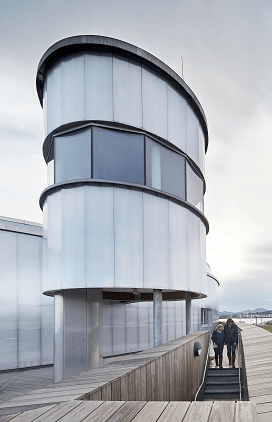 With its unique and stunning aesthetic appearance, the Welsh National Sailing Academy has won a series of national architecture prizes including the RIBA Regional, LABC, ICE and CEW awards. There’s a reason why roofing is a system. It’s not just a slab thrown over the top of a building to keep out the elements. The job of a roofing system is much more intricate than that, so that your building is shielded from weather damage and moisture from top to bottom. When you choose Danpal, you’re getting a roofing system that is 100% leakproof, watertight and airtight; provides a superior thermal performance; is lightweight and easy to work to use, with cold bending of panels on site; has high-impact resistance against hail; and provides a dazzling appearance. The roofing systems confirm what the building industry has known for a long time: Danpal quality and Danpal innovation form the foundation of the cutting-edge reputation that makes us a leader in the field. 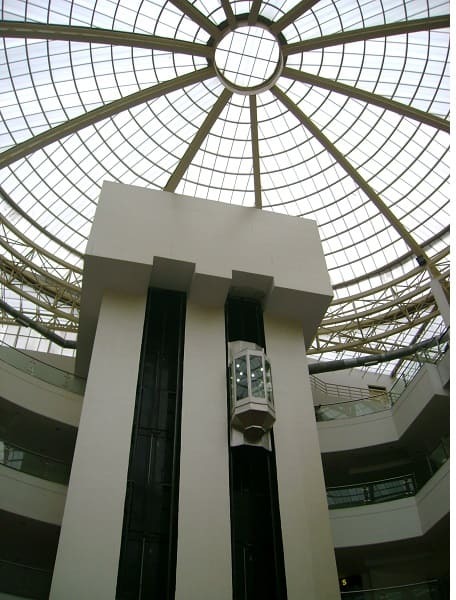 With a range of snap-on interlocking dry-glazed connectors that are made of polycarbonate or aluminum, Danpal had developed roofing systems delivering a level of flexibility that is a marvel in the engineering and design spheres of building. Danpal innovation has created roofing systems that are available in a variety of different designs and can be installed above or below various structures, depending on the engineering and design requirements. Weather is always going to be a factor in the life of a building. But the important thing for architects is to recognize this from the very beginning. Knowing the kind of weather that a building will have to face, depending on its geographical location, allows the architect to tailor his or her design requirements accordingly. Lots of snow and rain in your region? Protecting the insulation from moisture is going to be a primary responsibility of your roofing system. Hail? Remember to make sure that your roofing system includes high impact resistance. Sunshine all day long? What about UV protection for the extended life of the building? A roofing system, wherever it’s going to be doing its job, is facing weather every day. Choose a roofing system that can meet the weather challenge. Microcell technology has been proven to be a roofing system’s best defense against the elements. The Danpalon panel, with tight spacing between the ribs, offers improved “U” and “R” values for improved energy efficiency. There’s resistance to damage from hail, high winds, and snow, thanks to the roofing system’s double-tooth, grip-lock connection and extrusion with standing seams. Our weather protection is designed for all seasons; the sunshine is also a threat to a building, but our roofing system provides co-extruded UV protection. Moisture is bad for a building, but it’s not a friend to the occupants inside the building, either. Once moisture has found a home inside a structure, it’s not long before mold shows up. Mold is particularly harmful for people who suffer from respiratory ailments such as allergies or asthma, but it’s unhealthy for everyone. Choosing a Danpal roofing system is the smart way to keep a building and its occupants healthier. Skylight Roofing Lets Us Live In The Light! Wouldn’t you like to have a little more daylight in your life? Have you ever sat in a meeting and found your attention wandering as you gazed out the window and wished that you could enjoy more of the sunlight? Does your life feel as if the day is taken up with too many ceilings and floors and doors, and not enough natural light? What you’re feeling is actually natural, pun intended. As human beings, we crave the light. Natural light is the magic ingredient in the formula of life. It can lift our spirits when we’re feeling down. It can make us more productive when we can’t seem to break out of a dull routine. And it also helps us to see better! Grateful as we are for artificial light, it doesn’t compare to the original light of the sun. Now that we’ve settled on the fact that we’d like more sky, less roof in our lives, what do we do about it? Tents and treehouses have their place in our outdoor options, but they really wouldn’t work for a permanent lifestyle. Well, what about skylight roofing? Buildings have to have roofs, and people have to have light. Why not choose the option that allows you to have what you must include without sacrificing what you really want? Skylight roofing is a much better option than living out of doors, so before you starting moving the dining room furniture out to the lawn, stop for a minute and think about it. The reason humans don’t live outside is because that’s where the weather is. When we’re inside, we’re comfortable and safe. Outside—well, that’s where the rain falls and the snow flies; it’s where the winds blow, the hail hits, and the sun burns. You don’t really want to have to deal with all that, do you? Of course not. With skylight roofing, you won’t have to. Danpal’s skylight roofing, thanks to microcell technology, is completely, 100% watertight and won’t allow moisture from rain and snow to enter. It’s also able to withstand the intensity of the sunlight because it has UV protection. Light inside, weather outside; that’s what you have to look forward to with skylight roofing. Danpal has been a leader in the building materials industry for over 50 years. During that time, we’ve also pioneered daylighting architecture, a wonderful innovation that brings natural light inside, in exactly the amounts that you want. People who have access to natural light in the workplace find that they’re more productive. Those whose homes are blessed with natural light have discovered that their mood improves and the atmosphere is a much more pleasant one. Since we already know how much natural light benefits us, and we realize that all of our buildings have to have roofs, doesn’t it make sense to choice skylight roofing? Some people never notice the roof of their homes or offices until something happens. When a roof develops a leak after a particularly powerful rain storm or a heavy snowfall, people notice. When there’s damage to a roof that’s caused by hail or winds, it’s noticed. But other than that, roofs are mostly seen as no more than the top of a building, not very interesting, not very esthetic. Just a roof. But skylight roofing changes the dull image of a roof into something that’s contemporary and attractive. Skylight roofing lets a building enjoy more of what we all appreciate, and that’s daylight. Skylight roofing turns a roof from dull to dynamic, because it maintains the security of a roof’s function while adding esthetics to the formula. When you place a roof upon a building, your first concern is whether or not it will be able to do its job and withstand the potentially devastating effects of weather. But what if you can have that high level of performance in your roof, and can also have the charm and appeal of skylight roofing? Danpal’s reputation for excellent skylight roofing has been sealed with the effectiveness of tis Danpavault Barrel Vault Skylight System. Our skylight roof system is compatible with building that it’s covering; it can be installed on all kinds of roofing, profiled metal, and concrete. Microcell technology, a trademark of Danpal’s superior product line, keeps snow and rain out so that leaks don’t develop. The superior performance of microcell technology, by shielding the building from moisture, is a primary factor in preventing mold from developing inside a building. Once mold spreads, it affects the health and wellbeing of the occupants of a building, particularly those who may have allergies or respiratory conditions such as asthma. Skylight roofing is very effective in preventing the negative effects of weather, such as rain and snow, from invading a building’s internal area. Skylight roofing is just as effective in letting in the outside features that building occupants do want to see, and that’s daylight. Natural lighting makes an incredible difference in the way a building’s occupants feel about themselves. It adds to their sense of wellbeing and it improves productivity.. It’s also easier to see when more natural light is admitted into a building. People who have skylight roofing appreciate the way in which it transforms a building. They relish the way that daylight is no longer denied to them just because they have to spend the day indoors working. Skylight roofing is a liberating architectural innovation that, like all Danpal products, is as strong as it is attractive. At Danpal, a company with half a century invested in its industry, commitment to performance is the way we do business. We believe in our products, we believe in satisfying our customers, and we believe in making the world a better place with the buildings we construct. If you’re looking for roofing that is more than a drab cover to a building, it’s time for you to give skylight roofing a try. As the weather begins to change from cold, chilly winter to warmer spring, we all try to spend as much time outside as we possibly can. For everyone who lives in the climate zones where snow, cold winds and ice are a feature of daily existence for three to four months of the year, spring is like the call of the siren. We want to go outside and enjoy the beauty of nature, the fragrant breezes, and most of all, the daylight. But we can’t, because we have to stay inside to work. Once we get home, we’re so busy with household tasks and family needs that the day seems to escape from us. Maybe that’s why skylight roofing is so popular; it’s a way to capture some of that daylight even though we’re inside. Danpal skylight roofing, with the famed daylighting architecture that Danpal has pioneered, is one way to hold onto as much natural light as possible, even when inside. If you think that you feel better in natural light, you’re not imagining it. Studies have proven what we already now: we like the light! We’re more productive in natural light; we feel better about ourselves; our attitude is more positive. We need artificial light, too, but there’s just nothing like the natural light and with skylight roofing, that natural light is present inside your living space or work space. You’ll be glad to learn that whether your existing roof is concrete or profiled metal, skylight roofing is easy to install. Danpal’s roofing systems are customizable so that they can vary in length and size; this makes them easy to integrate and connect into place. What does this mean for the customer? Less time and effort during the installation process equals less inconvenience and less cost. Danpal uses microcell technology because it’s so strong. Weather is a fierce foe but a building has to be able to withstand the forces of nature, whether it’s the powerful rainstorms that send water flooding from the skies, or harsh winter snows and winds. There’s no way to avoid weather, so the only solution is to design buildings that are strong enough to handle it. That’s why microcell technology, with its resistance to the damage that weather can do, is such an asset for skylight roofing. And Danpal skylight roofing also has UV protection, because even those hot, sunny days that we love can be hard on a roof if it’s not protected. 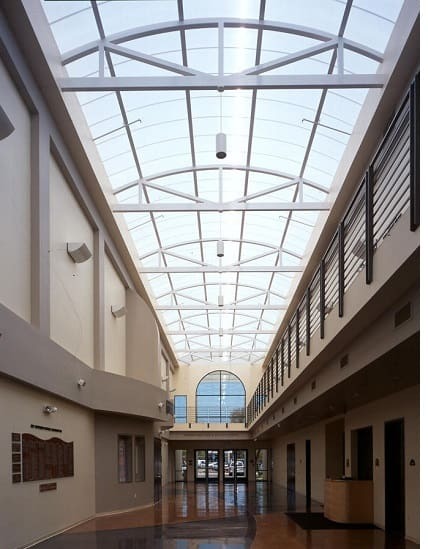 With the Danpavault Barrel Vault Skylight System, your building benefits from a skylight roofing system with evenly diffused natural light, optimum insulation, easy integration, and UV protection. Installation is no problem because it can be a self-supporting skylight or it can be placed on top of a metal structure. Different span sizes can be accommodated with aluminum framing options. Customization, always a favorite feature with architects, offers more freedom and flexibility in the design. If you’re eager to have more daylight in your life, skylight roofing can make it happen. For over 50 years, Danpal has been in the forefront of creating and installing innovative roofing systems that offer optimal thermal and solar comfort. Giving you the option of choosing from skylights, roofs, facades and more, Danpal is the choice for your roofing solutions. Danpal roofing can be installed above and below various different kinds of buildings. The plastic roofing uses snap-on interlocking dry-glazed connectors that are made from either aluminum or polycarbonate. With plastic roofing, a building has the benefits of superior weather protection, energy efficiency, and an attractive appearance. You might think that weather has it in for roofs. After all, the roof is the first target for rain, snow, and all the rough elements that pour out of the sky like they’re sent on an aerial mission to destroy. That just means that the roofing you select needs to be strong enough to handle the attack. Plastic roofing, thanks to the overall strength and quality of its design, as well as the quality of the materials that are used to create the roofing system, can be relied upon to withstand weather and offer high-impact resistance. Plastic roofing also offers protection against the effects of the sun. We don’t always consider the effects of sunlight on a building, but Danpal’s plastic roofing panels offer UV protection so that the roof remains in good condition for a longer period of time. The roof on top of a building has a powerful effect on everything that’s underneath, and this is where the combination of plastic roofing and light works to such a winning advantage. Every space in the building needs light in order to be fully functional. Plastic roofing allows the light to enter, balancing it so that it’s emitted in just the right amounts. Natural light adds much to our living space, and it also provides a boost for us as well. Plastic roofing is light in weight and won’t put undue pressure on the structure. Working with lightweight materials makes installation smooth and easy, saving time and money because the work happens so effortlessly. But don’t worry; lightweight doesn’t mean weak. Plastic roofing is strong. Once the roofing is in place, the visual effect is stunning. Much of that is due to the transparent materials that are used, which provide the ideal balance of light that works so well for interior space. Because of Danpal’s amazing array of colors, finishes, aspects and spectacular effects, you’ll have no trouble finding just the right look to release the building’s creative image. Danpal, committed to thinking both globally and locally, maintains a high regard for sustainability and protecting the environment. That’s why indoor air quality is a high priority for the company. What affects Danpal customers affects the world, because Danpal, which operates on five continents, knows that the globe is home to all of us. Construction in today’s world needs to be able to adhere to regulations which maintain safe and sustainable practices. It must be able to create a structure that delivers energy efficiency. It should be attractive in appearance. Skylight roofing meets all of those requirements, with a little something extra: it’s the kind of roofing that gets noticed. Danpal skylight roof also offers a little something extra, particularly in its versatility. With varying lengths and sizes that slot into their designated places, our skylight roofing is easily integrated and installed. That means that, regardless of whether your roofing is concrete or profiled metal, you can still use skylight roofing. There are so many advantages that you’ll wonder why you didn’t install it sooner. Skylight roofing has an esthetic flavor that traditional roofing lacks, but don’t worry that it acquired that trait at the expense of its strength, because that’s not the case at all. Skylight roofing can hold its own when it comes to protecting a building from the powerful forces of nature that can cause damage. Danpal’s microcell technology is 100% watertight, permitting no rain or snow from outside to invade the interior of a building or allow moisture to develop. 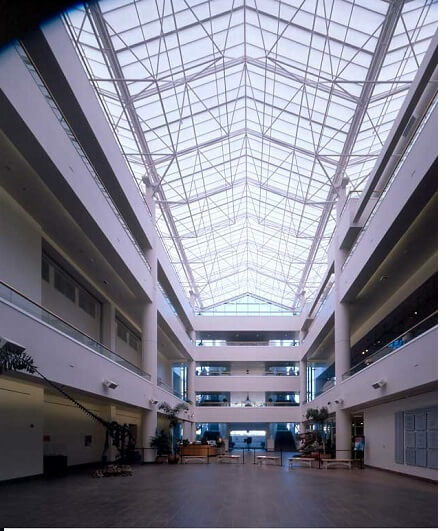 Danpal is known as a pioneer in daylighting architecture, so it’s no surprise that we’ve perfected skylight roofing that incorporates natural lighting into our buildings. You’ll see how Danpal roofing systems and the Danpavault Barrel Vault Skylight System deliver easy integration, superior insulation, and UV protection for a longer life. With daylight as a feature of the building, longer life also means better life, because natural lighting is so much better than relying solely on artificial light. Imagine how it will be when your skylight roofing brings daylight into your building so that you can see better, feel better, and work better. It’s not just productivity that’s improved with the inclusion of natural light. Studies show that people find that they actually do feel better when natural light is added to the interior of their workspace and living space. You might not expect skylight roofing to improve your quality of life, but daylight makes a difference that matters! We’ve explained how much the inclusion of natural daylight into your building can add to its appeal. But the esthetic improvements that skylight roofing makes possible don’t end there. The ribs of the panels are tightly spaced so that, when joined with the light, the visual effect is stunning. With skylight roofing, you have transparency that’s actually superior to the appearance of glass. Skylight roofing is roofing that knows how to please. It’s flexible and easy to work with, which is a bonus for architects, construction crews, and clients. It offers the benefits of natural light within an internal structure so that you enjoy daylight from the comfort of your living space or workspace. Why not choose the skylight roofing that you’ve always wanted? When choosing a roofing system, don’t forget to consider the life span that you want your building to have. A roofing system is a key component in predicting a building’s length of life because the roofing system is so important in protecting the interior of a structure from the threat of weather damage. Danpal boasts roofing systems that are airtight and watertight and 100% leakproof. They’re lightweight and easy to install. They deliver a superior thermal performance, have high-impact resistance, and show off an impressive visual appearance. Our roofing systems have transparency and tonal qualities, flexibility, and a balance of light and thermal dynamics that’s superior in function. We’re eager to tell you more about our Danpal roofing systems and we know you’ll like what you’re hearing. You might not expect a roof to be a primary source of natural light, but that’s because you may not know that Danpal is a pioneer in the art of daylighting techniques. The ribs of our roofing are made with tight spacing; this allows an impressive quality of light to come in, altering the appearance and improving the atmosphere of your internal building. Danpal roofing is a dry-glazed translucent system that can be installed either above or below different types of structures, depending upon the specific engineering and design requirements. The dry-glazed connectors are made of polycarbonate or aluminum, both renowned for their strength. Danpal’s Microcell technology is specifically designed to resist weather over the long term. On a day-to-day basis, a roofing system has to be able to take a beating because weather never lets up. It’s always doing something, and quite often, weather is doing something that’s going to lead to trouble in the future if your roofing system isn’t capable of preventing the damage. Regardless of whether your building is going to be located in a rain-drenched region or a place where winter deals out punishing snow and cold, Danpal roofing systems are ready for whatever comes out of the sky. You can thank our Danpalon panels for strength that surpasses the ordinary roofing system’s ability to keep weather out. Because of this, the thermal insulation renders more efficiency with better “U” and “R” values. The long life that’s so important for a building is supported by the double-tooth connections that are particularly effective against weather. Stricter regulations and a stronger adherence to environmental standards have had an effect on roofing. The “R” values of roofing insulation have almost tripled in recent decades. It’s a pleasure to notice how much of an effect we can have when we all work together on behalf of our planet. In the long run, quality makes the difference and that’s where Danpal stands out. We don’t manufacture cheap, poorly made products. We’ve been in business for half a century and maybe that’s way longevity is so important to us. We understand that buildings should be built to last. That’s the way we make our products. The more light the better! That’s how most of us feel and Danpal is in complete agreement on that point. That’s why the company, which has been in the business of building for 50 years, has devoted considerable research into developing skylight roofing that satisfies the customer, withstands weather, and maintains environmental sustainability. Danpal’s dry-glaze, translucent systems are available in different designs to suit the dimensions of your building as well as your own personal tastes. The Danpavault Barrel Vault Skylight System is the ultimate in skylight roofing, delivering the perfect balance of light that works best in the workplace and living spaces. Because Danpal skylight roofing has to be light enough to be flexible but strong enough to handle different weather conditions, the product is naturally versatile. The system’s Microcell technology is what delivers the resistance to weather damage; it’s even resistant to the impact of hail! It’s compatible with all roofing types, so whether skylight roof is intended for metal or concrete, it’s going to be easy to install. Danpal roofing can be customized to suit your preference, so it comes in a wide range of sizes and lengths, another feature that makes installation easier. Another popular feature is the way that the panels slot onto place. With the Danpavault Barrel Vault Skylight System’s ability to e beither self-supporting or placed over a metal structure with aluminum framing options, installation over varyingly sized spans is no problem. Weather and the forces of nature are a building’s natural enemy. But with the 100% watertight security of Danpal skylight roofing, buildings stay dry inside because rain and snow aren’t able to penetrate the exterior. The Danpavault System’s extended UV protection and thermal insulation save money for the customer by increasing the life span of the building because it has extra protection. The security of the panels also assures those inside that energy isn’t escaping from within. Danpal knows that when a customer decides to install skylight roofing, the beauty of its appearance is a major reason for the decision. And why not? Who doesn’t like the advantages that natural light brings to the internal environment? 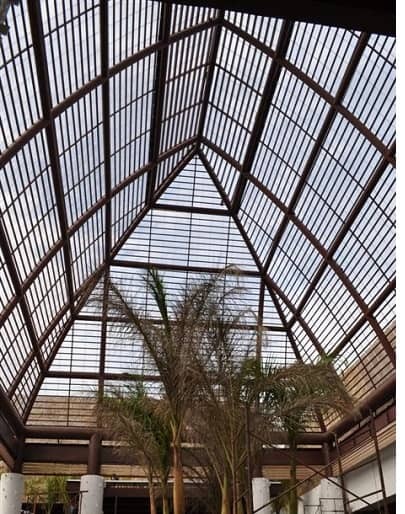 Not only does skylight roofing bring the daylight indoors, but it creates an atmosphere of wellness that artificial lighting just can’t duplicate. The tight spacing between the ribs of the panels partners with the light for a look that’s as beautiful as it is comfortable. If you thought glass was transparent, wait until you see the skylight roofing panels, which, in addition to transparency, give you light and flexibility that glass can’t match. Glass also can’t offer the range of colors that Danpal offers in its skylight roofing. Some people like the subtlety of shades of white, others prefer metallic or bold colors. Your roof will reflect your own preference and the result will be a building that’s unique, energy efficient, and durable. You’ll be very pleased with the results! Light is what a skylight is all about and Danpal understands that a skylight roof adds so much to the appeal of a home or building. A skylight roof is a wonderful way to invite the daylight inside a structure so that everyone benefits from the way natural light makes us feel. Some people hesitate when deciding whether or not to add a skylight roof because they worry about its ability to withstand adverse weather. But rest assured that a Danpal skylight roof is designed with durability in mind, something for which our company, which has been creating and installing innovative roofing systems for the last 50 years, can be counted on. Built to last, built to perform, that’s what Danpal products add to construction. At Danpal, we’re proud of the way we’ve been able to engineer a skylight roof that is compatible with all kinds of roofing, including profiled metal or concrete. Our Danpavault Barrel Vault Skylight System combine Danpal’s decades of roofing expertise with easy integration, UV protection and a seamless, even diffusion of natural light that delivers optimum insulation for your building. A skylight roof is the architectural way to have the best of both worlds: the comfort of the inside with the natural illumination from outside. 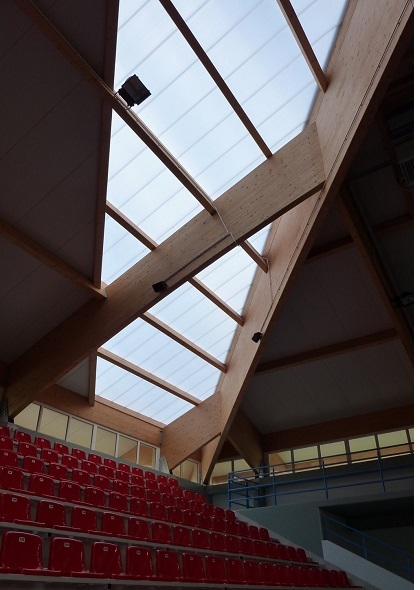 There are economic benefits to this blend as well; Danpal skylight roofs offer both thermal and solar comfort, and they do so without cutting corners on structural endurance. Danpal skylight roofs are made with microcell technology to enhance their ability to withstand damage from rough weather, even from hail. Thanks to a 100% watertight composition, rain isn’t going to compromise the integrity of your skylight roof. The rain can’t get inside. Knowing that your skylight roof provides the ultimate in protection from the rough weather conditions makes it easier for you to enjoy the wonderful abundance of natural light that a skylight roof gives you. Imagine spending quality time in a building that invites just the right amount of illumination, under the most ideal of conditions, into your day. In addition, the skylight roof delivers extended UV protection for added defense from the powerful rays of the sun. That’s what the Danpavault system promises. If you’re skeptical about a skylight roof and you think it might make the construction process too complicated, think again. Our Danpavault Barrel Vault Skylight Roof System is tailored for versatility. Because our panels come in unlimited lengths, they’re easily integrated into position. The flexibility of the panels makes them easy to install without needing extra effort or labor. The versatility of Danpal engineering connects the unbounded creativity of the architect with the built-in flexibility of the product. Not needing extra effort or work to make the perfect building is liberating for an architect, allowing him to focus on what the building will look like at completion rather than on what reductions he needs to make in order to meet a budget. Budgets love Danpal products because so much more is offered for the money. When designing a building, one of the most important assessments to make is deciding on the roofing system that is best. With more than half a century in the business of building, Danpal has seen a lot of roofing come and go, and the company’s experience and expertise can make your decision-making a lot easier. Danpal is on the cutting edge of the latest innovations in construction and we’re constantly improving our existing products. Over the years, we’ve developed a roofing system that is both fundamentally sound and energy efficient, as well as esthetically attractive. An architect surveys his plans like a commander overseeing a battle map. What are the strengths of the opponent? What are the weaknesses of the building? What is the best tactic to defeat the enemy? The roof is the main barrier between the interior of a building and its exterior, and the roof is under constant, daily attack from a formidable enemy. One of the most powerful enemies that a building faces is weather. There’s no escaping it: a roof has no force shield to keep the rain and snow from falling, the wind from blowing, the hail from bombarding, or the sun from beating down. But a roofing system must be able to withstand all of these powerful elements if it is to stand firm against deterioration. Many of us have noticed more and more episodes of extreme weather, as storms in both winter and summer seem to be more potent. These are the factors that remind us of how important it is to choose a roof that is built to last and to protect against weather at its worst. Danpal can provide the roofing system that you’re looking for, whether your design is modern or traditional. The design of a roofing system also matters, because it significantly affects the building’s ultimate appearance. The color, texture, and type of roofing all need to be in harmony with the overall style of the building, including its exterior look and finish. The design needs to blend together; clashing styles make the entire building appear to have been rushed to completion without forethought for how it would look when it was actually constructed. As regulations become stricter, new rules are re-defining the kinds of roofing systems that can be used, particularly with regard to coatings, sealants, and adhesives. Recent decades have witnessed a dramatic evolution in the kinds of roofing materials available, thanks to technological advances. While traditional materials remain popular, newer materials such as polycarbonate are rapidly becoming the favorite because of their durability, flexibility, and their energy efficiency. As the environment has become more of a concern, the move to use environmentally friendly materials has rapidly gained momentum. At Danpal, we know that your roof is part of your building, and your building is part of the wider world. Keeping everything in balance is what makes a building a success. Operating a building materials business on five continents gives Danpal the edge when it comes to roofing systems. Roofs aren’t the same the whole world over, and at Danpal, we pride ourselves on being able to deliver the sky when a client comes to us looking for the ideal roofing system. Danpal roofing systems come with a unique mix of advantages, and the Danpavault barrel vault skylight system offers easy integration and a smooth transmission of natural light for a structure. 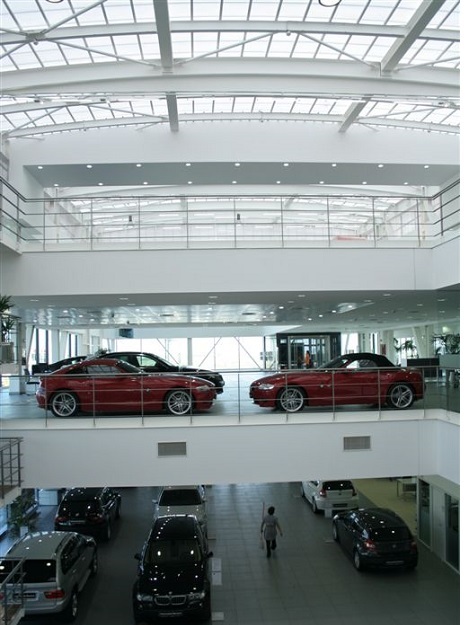 Our dry-glazed translucent systems are available in a wide variety of designs that are suitable for installation above or below the particular structure, depending upon the specifications set by the building’s engineering and design. We offer the best in roofing because our systems contain snap-on interlocking dry-glazed polycarbonate or aluminum connectors. Thermal insulation and UV protection round out a full component of skylight roofing superiority. There’s a lot of versatility in our Danpavault barrel vault skylight system, whether you choose to use it as a self-supporting skylight for your roof, or you place it over a metal structure. You can add aluminum framing so that the skylight roof can be installed on top of spans of different sizes. Because there are no limits to the length you choose, the skylight roof system is ideal for so many different roofing types. Whatever length is right for your building can be installed easily; our flexibility means that you get what you want for your roof. When natural light is added to the internal building, the results are beneficial in so many ways. Natural light makes us all feel better and it adds to the appearance of a building. You’ll get more light from Danpal systems, compared to what other options provide, so much that it’ll seem as if daylight doesn’t end. One of the things that our clients value about our roofing systems is the ease of installation. Profiled roof or concrete, it doesn’t matter, Our skylights offer flexibility thanks to their unique design, so it doesn’t matter what your current roof is made from or how it looks, because our skylight roof can accommodate anything. 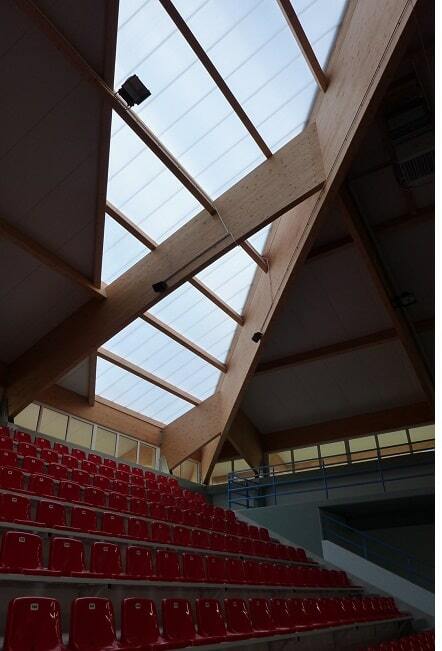 Once the skylight is in place, there can be no doubt that it will be up to the challenge of resisting the weather. We’ve created our skylight roof systems to be completely watertight, relieving you of any need to worry about leaks. And if you’re concerned that your skylight roof is more vulnerable than a standard roof, rest assured that the built-in strength comes from microcell technology, which empowers an impressively high level of resistance to damage caused by hail and other extreme weather conditions. The microcell technology keeps the skylight roof strong when weather strikes. One of the most popular features of our skylight roof is the range of colors that we offer for all of our products. Whether your preference is for shades of white, metallics, or bold and brilliant colors, the hardest decision you make might just be which one, from so many possibilities, is the right one for your skylight roof. We’re experts in roofing techniques and solutions here at Danpal, and that’s why many people turn to us when they need new roofing products. We offer numerous different roofing system styles that cover various size and length requirements, so you are guaranteed to find something to suit you. One of our most popular products is our skylight roof system range, which offers solutions that combine all the benefits of skylight roofing with the many different benefits of our regular Danpal roofing system. Why Should You Choose Skylight Roof Systems? There are many advantages that come with one of our skylight roof systems. 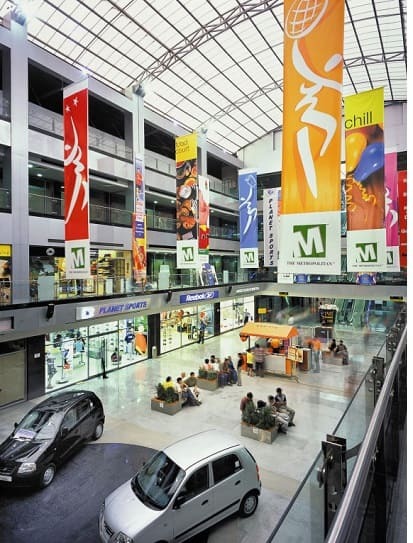 As they can come in an unlimited length, they can easily be fitted onto almost any building type. Once you have found the length of roof that will fit your requirements, it can be easily integrated and installed without too many problems or issues cropping up. One thing is for sure, you certainly won’t be constrained by our range of skylight roof systems! Our skylight roofs are also highly compatible with many other different kinds of roofing. It’s easy to install our roofs, even next to concrete or metal ones, and there is no chance that they will look out of place. And the other roof won’t even affect the performance of your new skylight. For most of our customers, lighting is one of the biggest things they have on their minds when they buy a Danpal skylight roof system. 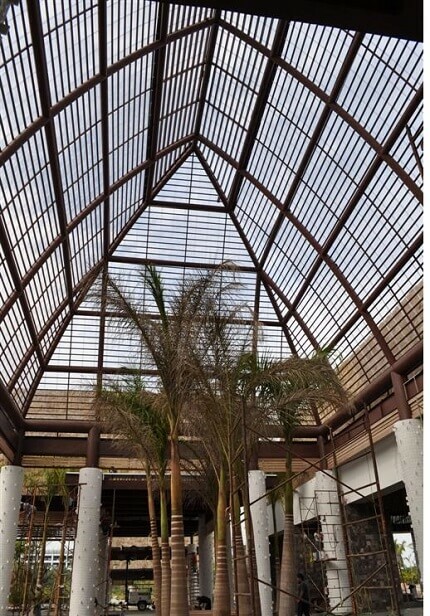 We have the Danpavault Barrel Vault Skylight roof system that is perfect for ensuring the maximum amount of light gets through the roof, as it is extremely effective at diffusing light through your space. Not only that, though, but it also comes with extended UV protection and brilliant thermal insulation. Something that all types of Skylight Roof Systems have to deal with on a day to day basis is the weather. Excessive wind, snow, and hail can all damage roofs over time but, thanks to our microcell technology in our skylights, each of our roofing systems come with a very high resistance. Plus, they are also 100% watertight, meaning you won’t need to worry about any leaks or insulation issues. Why Choose Danpal For Your Skylight Roofing? Here at Danpal, we know a lot about roofing. In fact, we have over thirty years experience in the industry, so there is no wonder why so many customers keep on returning to us. We are constantly creating solutions for many different architectural creations and installing innovative roofing onto unique buildings and structures. Our skylight roofing is just one of our tailor-made daylight solutions that can help open up and brighten homes and other buildings. When we create our skylights, we pay particular attention to the engineering, design, and aesthetics of each roof to make sure it looks great and can perform well. There is plenty more information on Skylight roofing options on our website. To speak to one of our dedicated customer advisors, you can find our contact details right here. All of our team will be happy to help! 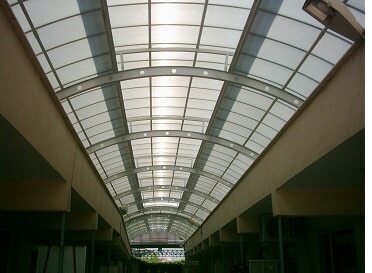 We design Skylight roof systems of unlimited length and sizes. The great thing about our Skylight systems is that they offer solutions that combine all the advantages of using a regular Danpal Roofing System with the specific benefits that come with our Danpavault Barrel Vault Skylight System. 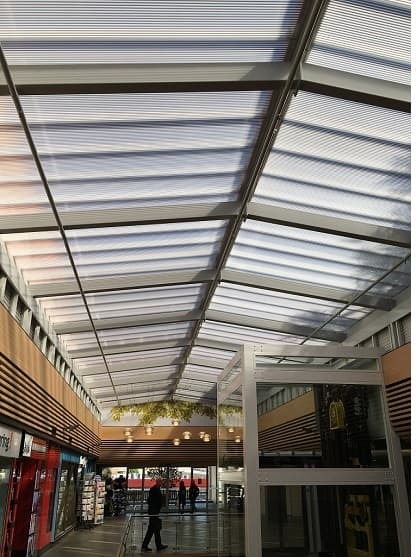 They offer easy integration, and the way they’re designed allows them to transmit an even diffusion of natural light, which offers ideal insulation and UV protection. Our Danpavault Barrel Vault Skylight System can be used as a self-supporting skylight for your roof. Alternatively, it can be placed over a mental structure. Aluminium framing options can be added, allowing it to be installed over spans of different sizes. The unlimited length of our Danpavault Barrel Vault Skylight Roof Systems makes them perfect for all kinds of needs and roofing types. They can be integrating incredibly easily, meaning there will be no headaches or problems for you to deal with. The length that’s right for you can be found and installed simply and quickly. You don’t need to feel constrained because our unlimited length skylights offer you the flexibility you need, and that can only be a good thing for your building. Light is what it’s all about when you purchase a skylight and have it installed. 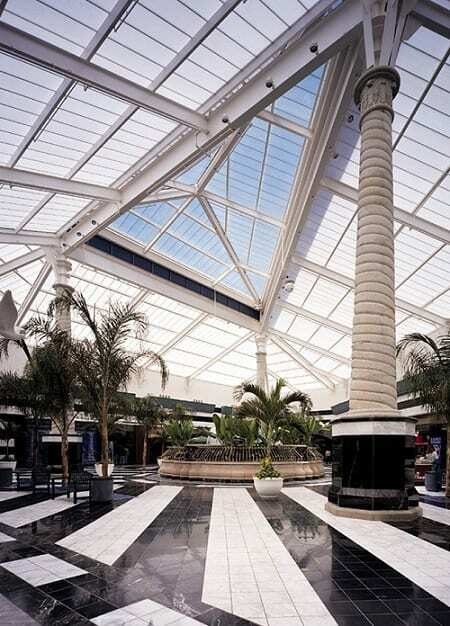 Our Danpavault Barrel Vault Skylight roof Systems provide the perfect diffusion of light for your space. Along with that comes thermal insulation and extended UV protection. The greater amounts of light you get from our systems compared to other skylight options make them an obvious choice for anyone wanting to add more natural light to their space, no matter how large or small it is. Our skylights are compatible with all kinds of roofing types. Whether you have a profiled metal or concrete roof, our skylights are easy to install and put in place. The flexibility they offer comes from their unique design, allowing them to slot in place and get to work right away. It doesn’t matter what your existing roof is made from or looks like; the skylight roof you buy from us will fit right in and perform how you want and need it to. The skylight you purchase needs to be able to handle all kinds of weather conditions once it’s in place. We can guarantee that all of our skylight roof systems are 100% watertight, so you won’t need to worry about rain causing you any indoor problems. Our skylights also use microcell technology, which offers very high resistance to hail damage or other extreme weather effects. If the skylight ever takes an impact, the microcell technology will help it to stay strong too.